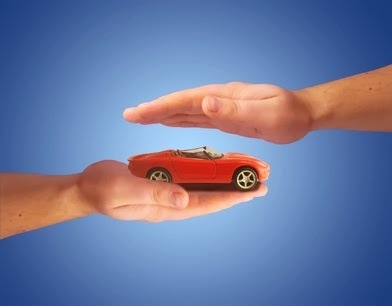 A common question that comes up when speaking with an auto insurance agent is, “How much coverage do I really need”? Auto insurance is mandatory in all provinces of Canada, and for good reason. The costs associated with accident damage and injury related fees would be astronomical if not for insurance. Just because it is mandatory does not mean the process of getting insured is simplistic. You may find it confusing not only to find a good insurance company, but also to get the coverage you need at a price you can afford. Thankfully, there are ways to get the insurance you require and save money at the same time. You should first make it a priority to find out how much coverage you currently have and how much coverage you actually need. Hundreds of people don't have enough insurance on their cars based on their reckless driving record, but just as many are paying too much for every possible setback they may never encounter on the road. While you do need liability insurance to cover all the medical payments, physical damage and potential third party injuries, you don't want to have a premium insurance package when you have a budget allotted for a basic one. Calgary car insurance rates should always be within your financial means, and obtaining a quote online or discussing it through a free consultation is fast and easy. -If you have a clean driving record, it may be time to look and see if a discount could be available. No tickets, offenses or crashes is a good sign and may highlight some areas savings could be found. -Check and see what your deductible is at. Increasing your deductible may help slash your premium. -Look into telematics, which is a GPS installed in your vehicle to see how you are driving. If you don’t know about this, there is another reason to book an appointment. -Look into bundling your insurance. By having an insurance bundle, Sharp Insurance is able to save you hundreds on what normally would have been three or more forms of expensive insurance in a simple, easy-to-follow process. 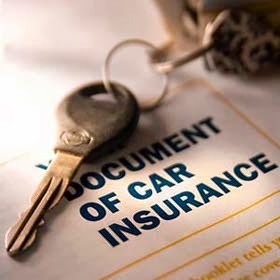 Sharp Insurance also provided some of the best Edmonton car insurance rates available. Most people who are looking for online car insurance quotes Edmonton are looking to save as much money as possible on their next car insurance policy. Car insurance is mandatory in most provinces in Canada, but premiums and policies are not the same everywhere you go. That’s true between provinces and between companies, which is why smart, selective shopping can make such a big difference. The following are three surefire ways you can save yourself some money when you’re next shopping for insurance. If you have more than one vehicle to insure, consider insuring them all with the same insurance provider. If you have a family, chances are you have more than one vehicle, and you might have more like three or four. If that’s the case, insurance can be costly. Luckily most insurance providers provide multi-vehicle discounts, which can ease the burden of ensuring so many vehicles month to month. You might also try insuring your car and home with the same provider. This should put you in a position to get a multi-line discount and could allow you to save hundreds or even thousands of dollars on both car insurance and home insurance. See a pattern? Generally speaking, the more loyal you are to a specific company, the more likely you are to come into some savings. Sharp Insurance has plenty of deals for those looking to insurance a car, a home, or even your small business. We’re versatile, and highly responsive to your needs. If at all possible, you can sometimes save a lot of money by paying an up-front annual fee for your car insurance instead of going with monthly premiums. This isn’t always a possibility, but if it is it’s worth considering. As long as you are precise in your budgeting, you may be able to come up with the annual fee, and most providers will cut you a big break. Probably the best way to save money on car insurance is to go looking for as many auto insurance quotes Edmonton as you can. Compare and contrast and always ask questions if you don’t understand something. If you want to learn more about how Sharp Insurance can help you with affordable car insurance, click here to receive a free quote today. If you’re looking for Red Deer auto insurance quotes, you’re probably trying to find the most affordable insurance possible for your situation. Shopping for car insurance can be difficult no matter who you are. And it can especially be difficult if you’re considered a high risk driver, or if you have certain number of speeding tickets or traffic violations on your record. But no matter what your situation is, there are plenty of ways you can save money on car insurance as long as you are careful and particular about the way you shop. What Is Your Insurance Covering? Whenever you shop for car insurance, it’s always important to ask what exactly your insurance is covering. Different policies cover different categories of damage, and it’s important to have a clear idea of what types of damages you are looking to cover before you sign up for a given insurance policy. There’s bodily injury liability, medical payments, collision coverage. You never know when any one of these types of coverage is going to be important to you, so make sure you choose you take care with your decision. If you are new to shopping for online Red Deer car insurance quotes, it’s important that you understand the difference that your vehicle makes to this process. A newer vehicle is going to be exponentially easier to insure, which is one of the major reasons why buying a used vehicle does not always save you money. Even if you’re buying or leasing a very basic model from a local dealership, this could drastically lower your insurance rate. Insurance premiums can be so prohibitive for some people that they actually consider moving to a different province simply to get a better deal. This should never be the case for you. No matter what your situation is, there should be an affordable and achievable insurance policy out there for you. The key to finding it is outlining your needs, and ensuring that whichever insurance provider you speak with, they are willing to take the time to modify their offer to specifically match your needs and preferences. If you’re looking for the best Red Deer car insurance rates click here to learn more about what Sharp Insurance has to offer you.